Recently in Paris it ended with one of the largest international exhibitions of arms – Eurosatory-2016. 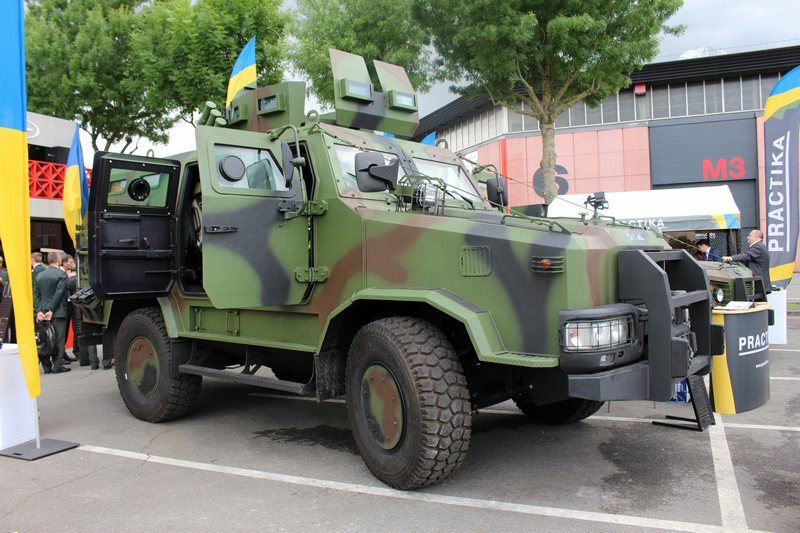 Ukraine was represented by the most iconic military-industrial complex of Ukraine, among them – the enterprise of RPA «Practika», which showed examples of modern armored vehicles of its own production. Supply of goods and fuel. It is worth mentioning that wheeled vehicles on the world arms market there is a very sought-after commodity, and therefore was represented at the exhibition by powerful and most experienced manufacturers of military transport. However, the response from visitors to the greater exposure «Practika» can be described in one phrase – our cars were equal among equals. Especially because the exhibition is visited sophisticated audience – the military, which for years watching the development of the military-industrial complex of the world. The delegations one after another came to our cars, patting the hot sun armor, glass considered carefully and fairly nodding their heads. A few words about the Eurosatory exhibition: it takes place in the exhibition complex «Paris Nord Villepine» every two years. Its participants – more than 140 countries around the world, which are the products of defense and security industries. According to preliminary estimates, this year, during the exhibition from 13 to 17 June, it was visited by over 57 000 visitors and 214 official delegations from 94 countries of the world.